Planning an extraordinary event involves a lot of little details, and that includes event props. A ball pit is one surprising prop that helps boost the fun level at many events. There are a lot of options when it comes to ball pits.  At Track Seven Events, we plan a lot of Bar and Bat Mitzvahs. These events are designed to celebrate a child's journey into adulthood, but for a lot of kids, it can be fun to dive into the nostalgia of childhood just as they're on the cusp of adulthood. A ball pit is an event prop that makes that possible. When you think of a ball pit, you may immediately think of a child's playground. However, children shouldn't be the only ones to have fun. When we plan corporate events, we work with our clients to plan a number of activities from icebreakers to training games and everything in between. A ball pit can be a fun way to get people to let loose a little bit. For corporate events, this particular event prop can be integrated into a game, it can be used for photo ops, or it can be used to keep children entertained if the event includes the whole family. Planning a wedding reception can involve a huge range of event props. We use props to set the scene for couples who want to create the sensation that their event is happening in a different time period or a different part of the world. We also use event props to create fun backdrops for photo ops. A ball pit can be used in a number of different ways. It can create the illusion of a large tub of bubbles. That creates an exciting spot to create pictures of the happy couple, the bridal party, and the rest of the guests. Of course, it can also help to enhance a certain theme. For example, if you are putting together a wedding reception that looks as if it's set in Ancient Greece, a ball pit can simulate the look and feel of ancient roman baths. Sometimes, it's a challenge to get people on the dance floor. We have DJ's who can put together playlists that are designed to inject excitement into your event and get people out onto the dance floor. In fact, we actually got our start doing the music for events and that continues to be one of our passion projects.